Undeniably, a beautifully decorated home is a status symbol. And, whenever we see a well adorned home, what first comes to our mind is – ‘wish, this could be mine!’ Or you question yourself – “why my abode doesn’t look this great?’ This is what generally happens to everyone, but have you ever thought what makes such houses so unique that leave you pondering every time! Think of a popular construction material, like limestone tiles. This compels you to start thinking of ways that can make your house beautiful, but you just can’t figure out what is missing. Maybe, it is the material you have used for architectural designing, both inside and outside your home! Yes, choosing the right material for interior and exterior designing can make a lot of difference. And, nothing could be better than natural stone for a phenomenal makeover. While there are many options available when it comes to natural stones, limestone tiles is something that can impart some unique kind of charm to your property. Limestone tiles can transform your house to the next level by bringing about just the same kind of irresistibility as that possessed by stunning monuments like the Empire State Building, Lincoln Memorial and Washington National Cathedral. Limestone is found in different parts of the world, but the one, which comes from India, is of superior quality and hence, heavily exported worldwide. So, in case you are looking for a limestone manufacturer or exporter; there is no better place than India! Not only India is one of the major global exporters of limestone, but this enticing dimension stone in offered in numerous shades. As we have already understood the significance of limestone in architectural designing, let us now discuss how using limestone tiles can enhance the beauty of your home. The availability of this limestone tiles in naturally earthly tones with colors, ranging from yellow and pink to blue and black, makes it just a perfect stone for both interior and exterior decoration. Not just this, there is a variety of finishes available for limestone tiles, such as brushed, honed, polished and bush-hammered that simply add to its beauty. Moreover, when it comes to application, it again leads the league! Interior and exterior wall cladding, paving, flooring and coping, among others, are some of the common application of limestone tiles. Let’s now discuss how limestone tiles can be used to make your house look more ravishing! Indoors, limestone tiles are widely used to beautify the walls and the floors of the house. You can lay limestone tiles in your bathroom, kitchen, hall, and even in your living room and they will just make the space of installation more glamorous. The durability of limestone tiles further gives you one more reason to be used as flooring tiles. Limestone tiles don’t wear off easily and with little care can last for decades with the same grace and charm. Also, they are smoother than other flooring options available in the market, which makes them more comfortable for walking. 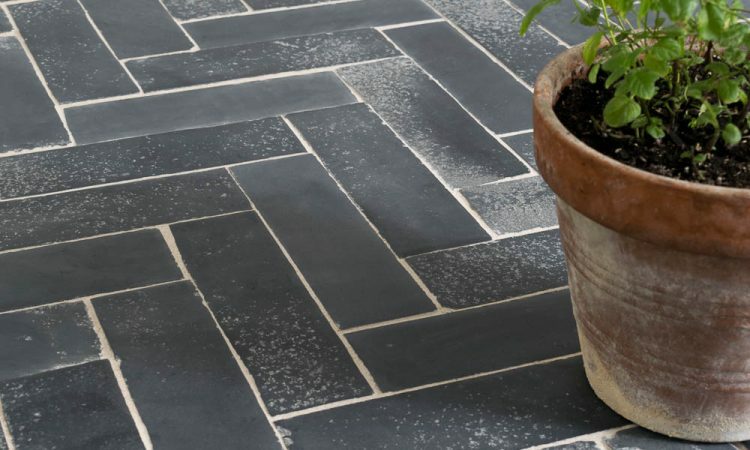 So, if you are going to buy tiles for your house flooring, now you know what to chose! As already mentioned, limestone tiles can be equally used in the exteriors as indoors. Coping, paving, roofing and exterior cladding are all what you can do with limestone tiles to adorn your outdoor spaces. Limestone tiles are one great option due to their ability to adapt with modern as well as traditional architecture and design. It is also available in a variety of sizes, finishes and edge profiles that you can even customize as per your need and choice. All in all, when you choose limestone tiles, you are never short of options. Sealed limestone tile flooring is easy to clean and care, and helps maintain hygienic conditions while resisting the penetration of dirt, moisture and microbes inside the limestone surface. An everyday sweeping or mopping is more than enough to keep your limestone floor free of dust and look as good as new. So, hopefully, now you don’t have to look at other’s houses and feel disappointed about yours. Just contact a leading Indian limestone manufacturer and exporter and give a revamp to your house with the ever-beautiful and very natural limestone tiles.